Particularly suitable for acne prone or sensitive skin types, this will provide intensive relief, rejuvenation and hydration to troubled skin. Hydro-Facial is a 3 step treatment comprising a deep cleanse, deep exfoliant and deep hydration. Our Hydro-Facial Deluxe comprises the Hydro-Facial protocol, followed by applying a prescriptive serum and mask to neck and face respectively. 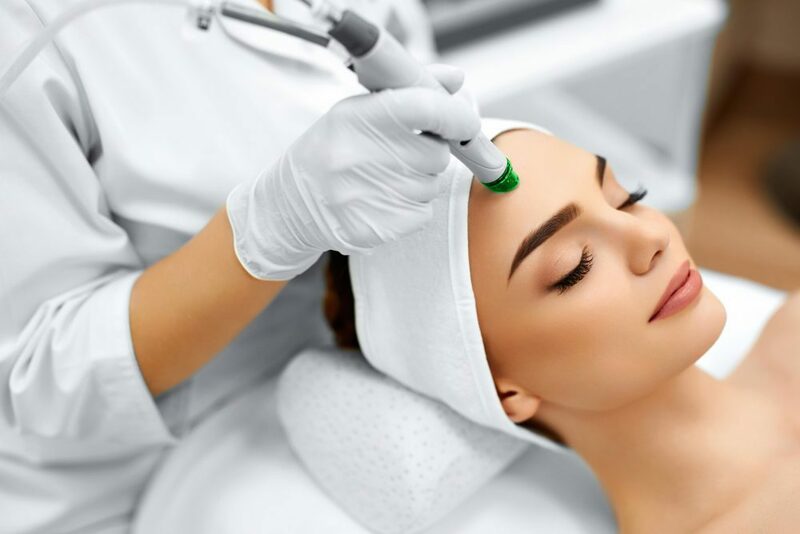 RF, Ultrasound and Ion lifting is then utilized to push the products deep into the skin while activating fibroblasts and stimulating collagen production, skin tissue and muscles thereby giving your skin a healthy glow and a temporary lifting and tightening effect. Delivering anti-ageing properties for an intensive anti-wrinkle and lifting effect whilst soothing and rejuvenating the skin. Am I a candidate for Hydro-Facial? The Hydro-Facial treatment is designed for all ages, skin colours and types. Even the most sensitive skin can readily tolerate the HydraFacial treatment. Our Aesthetic practitioners will advise on specific treatment protocols and where appropriate customise the treatment for your personal skin conditions and needs. Can anyone have a Hydro-Facial? have active eczema, open wounds, or fresh scars on the area. In addition, it is necessary for all patients undergoing treatment to avoid Retinol and Retin-A products for two days before and after treatment. How long does a Hydro-Facial treatment take? We have different types of treatment available, so depending on what you book in for, treatment itself will typically take between 40 and 60 minutes, depending on the precise nature of the treatment selected. No, the Hydro-Facial treatment is comfortable and relaxing with immediate benefits. You can return to your normal activities straight away. You are likely to see an immediate improvement in your skin after just one Hydro-Facial treatment. Specific skin concerns (for example acne, or pigmentation) are likely to require several treatments for full benefit. For optimum results in the medium to long-term, regular sessions every four to six weeks are recommended, combined with an appropriate regime of medical grade skincare products. How much does Hydro-Facial treatment cost? 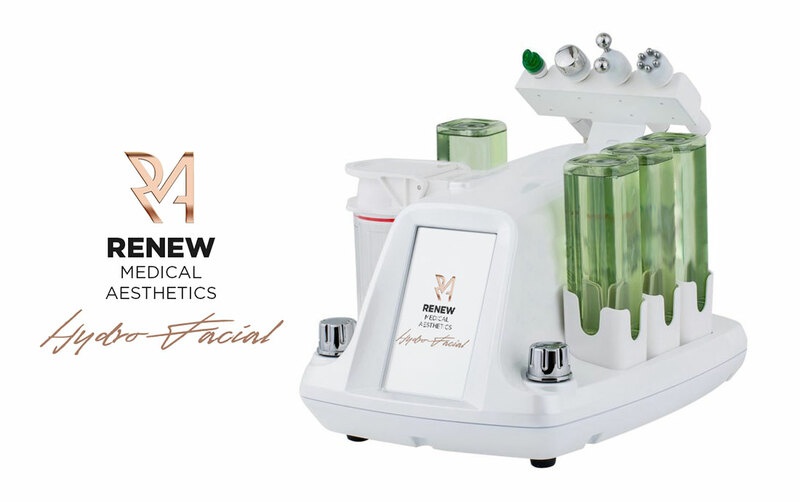 Renew has 2 Hydro-Facial prices, one for the base treatment and one for the deluxe version.